After the Coroner’s inquest concluded Thursday Sept. 4 in Versailles, Craig Ellingson, father of drowning victim Brandon Ellingson, called the jury’s decision a “hometown verdict”. The Morgan County jury was seated to review the death of Brandon Ellingson, a 20 year-old native of Clive, Iowa and Arizona State University student, who died while in custody of the Missouri State Water Patrol on May 31 at the popular Midwest tourist destination, the Lake of the Ozarks. The Ellingson family was disappointed in the jury’s determination that Brandon’s death by drowning while handcuffed and in custody of Missouri State Highway Patrolman Anthony Piercy was ‘accidental’. Craig Ellingson, addressing reporters after jury announced Brandon’s cause of death as ‘accidental’. Craig called the verdict a ‘hometown decision’ and a ‘joke’. On May 31st, a Saturday, Brandon was with friends at the Lake of the Ozarks. According to a June article from the Iowa City Press-Citizen, Brandon and his buddies were planning on doing what thousands of Midwestern college kids do each summer at the Lake of the Ozarks. ‘It was supposed to be one of those epic weekends college kids have: good times, old friends, the water and the beach. The Lake of the Ozarks has been a destination for tourists since it was formed after the completion of Bagnell Dam. It has traditionally been a place for Midwesterners to vacation and was built on a reputation of friendliness and a laid-back atmosphere. For many second home owners, like the Ellingsons, this was part of the attraction of the Lake. In recent years however, the Lake of the Ozarks has become a magnet for police officers of multiple agencies, causing many local residents to question what many believe is an over-saturation of police. Concerns over the escalating police presence at the Lake of the Ozarks have been the subject of repeated comments from Lake residents, who see this overwhelming law enforcement presence as a threat to tourism. The Osage Beach PD, Lake Ozark PD, Camdenton PD, Camden County Sheriff Department, the Missouri State Highway Patrol and Water Patrol have converged on the Lake in growing numbers, becoming a very real threat to the economic health of the area. The merger of the Water Patrol and Highway Patrol in 2011 led to Piercy’s being in a boat on Memorial Day weekend. Nor is it simply the sheer numbers of law enforcement officers that concern residents. The increasingly hostile attitude of these agencies, the predatory practices that have become the established norm and the for-profit private probation companies that have sprung up in their wake have created a real blight on the Lake of the Ozarks landscape. Compounding these issues is the lack of trust the community has in these agencies. The lack of transparency and accountability has created a very real mistrust between the community and these departments. Simply put, these law enforcement agencies have continued to act with impunity and without fear of retribution or consequences. The refusal to prosecute illegal behavior by these ‘officers of the law’ has served to place them above the law. This prompted a recent protest in Camden County to ‘Shine The Light on Dwight’, a reference to the dozens of cases of police brutality, inaction and selective targeting. Local residents of the Lake of the Ozarks have seen a transformation of local law enforcement in recent years that has abandoned the ‘protect and serve’ motto. This problem is not exclusive to local departments. As the case of Brandon Ellingson continues to illustrate, the codification of reckless, criminal behavior by law enforcement goes all the way to the top in Missouri, as Governor Jay Nixon’s office has played a predominant role in the cover-up that followed the death of this young man. There is a desire on the part of elected officials to absolve themselves from responsibility for this downward spiral of law enforcement agencies across the state. Nixon himself merged the Highway and Water Patrols, creating the conditions for what would later be described by Water Patrol veteran officer Sgt. Randy Henry as a ‘perfect storm’. Combining these agencies and the decision to have road officers work our waterways is directly responsible for Brandon’s death. This provides some context for the cover-up that has ensued after the avoidable death of Brandon Ellingson, but it only tells part of the story. The actions taken by Anthony Piercy, both on May 31st and beyond, speak to a larger problem that is endemic in these agencies: The belief that officers are above the law has led to them acting more and more like the criminals they are supposed to apprehend. 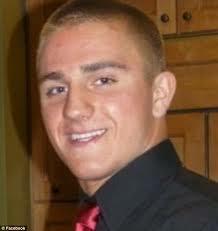 The case of Brandon Ellingson could easily be compared to the shooting death of Michael Brown in Ferguson, MO. Police across our state have the mentality they are judge, jury and executioner. This institutional failure is not the exception, it is the rule and unless citizens reassert their control over these departments, it will only get worse. Tomorrow, your child could be a victim of these conditions. Certainly the Ellingson family did not expect that their son, at the Lake of the Ozarks for vacation, would wind up dead, a victim of police out of control, their actions protected by a system rife with corruption. At approximately five on that Saturday afternoon, Missouri State Trooper Anthony Piercy took Brandon into custody on suspicion of boating while intoxicated. As reported by the Waynesville Daily Guide, and their Gatehouse partner the Lake Sun, Piercy claimed that a beer can fly off the boat near the lake front establishment, Coconuts. This observation led him to approach the boat Brandon and his friends were on. Piercy’s claim of simply being in the area and observing the beer can fall off the boat, is the first of many lies in the case of Brandon Ellingson. As Laura Bauer of the Kansas City Star reported, Piercy’s actions that day, before he came into contact with Ellingson, had already caused concern and prompted phone calls to his superiors, 911 and an area state representative. The predatory behavior he had displayed on Saturday, May 31 sounds very much like he was stalking prey. ‘Piercy told Johnson (Sgt. Jeff Johnson, investigator for MSHP Troop F) that he was just passing by Coconuts Caribbean Beach Bar & Grill on May 31. As he was idling through that area, Piercy said he noticed Ellingson’s boat. That contradicts what the owner of Coconuts told The Star last month. Owner Timothy Vogel said Piercy had been spotted outside Coconuts for several hours that day. Because he thought the trooper was “harassing” his customers, Vogel called Piercy’s commander to complain, as well as 911 and an area state representative. This would appear to be the beginning of Piercy’s trail of lies. He was obviously not ‘just passing by’ Coconuts. Instead, he appeared to be loitering like a dime store thug, waiting for his next victim. When the boat Brandon and his friends were on left Coconuts, they were clearly targeted by Piercy. ‘Piercy told Johnson he noticed Ellingson’s boat had no visible registration numbers. He idled toward the boat to investigate. He said he eventually saw a Bud Light can tossed from the boat’s passenger side. This claim by Piercy is one that immediately raises eyebrows, particularly when one considers the calls made by the owner of Coconuts. The excuse of not having visible registration numbers leading to ‘eventually’ seeing a beer can come from the boat very clearly indicates that Piercy had targeted the boat and was looking for an excuse to stop them. According to Piercy’s interview with Sgt. Johnson, he performed field sobriety tests on Brandon, cuffed him and put a Type 3 jacket on him after arresting him for suspicion of boating while intoxicated. Brandon Ellingson with Tony Piercy. These witnesses, who were on the boat at the time Brandon was taken into custody, stand in complete contradiction to the story presented by Piercy. Investigators conducted separate taped interviews with these witnesses. While these were given to the jury to consider during deliberations, their accounts were not presented to the jury paneled during the Coroner’s inquest. Water Patrol veteran Sgt. Randy Henry was interviewed on June 19 by MSHP Troop F investigators Stacks and Harris about a phone call he had with Piercy the evening of the drowning. Henry offered insight as to the events that followed Brandon’s being arrested. When Henry asked Piercy about the use of the Type 3 jacket, Piercy indicated that he was in a ‘hurry’. The reason Piercy gave for his rush: One of the boat’s passengers had jumped into the water and was swimming approximately 15-20 feet from the Donzi. The young man was giving Brandon advice regarding his rights. Piercy confirmed the swimmer was not acting in a threatening manner. As Henry recalled, Piercy indicated that the swimmer had ‘gotten under’ Piercy’s skin and that he wanted to ‘get out of there’. Piercy’s comments to Henry that evening make no mention of Myles Goertz approaching his boat to hand Brandon a card, as Piercy would claim later in talking to investigator Johnson. This is yet another lie, told by Piercy. Sgt. Henry asked Piercy during their phone call if he had given sobriety tests to the passengers in Brandon’s boat. Piercy said that he had not given any sobriety tests and that he instead asked the passengers if anyone was sober. The swimmer, Myles Goertz, said he was sober. That was enough for Piercy, who then sped away, by his own account, at approximately 30-35 MPH. Jurors at the inquest were unable to review camera footage of the stop Piercy conducted. The onboard cameras the Water Patrol’s Donzi was equipped with were conveniently not operational during that Saturday shift. The SD card was pulled from the cameras prior to Piercy taking the helm of the boat, according to the Highway Patrol. This left jurors with a singular narrative, provided to them by Jones, Grellner and the Highway Patrol. “Basically, what they were trying to do was get Piercy off the hook so he wouldn’t get any criminal charges.” Craig Ellingson said later. Piercy, when testifying at the inquest, stated that he gave Brandon ‘several sobriety tests’ before taking him into custody. Piercy also stated that he administered a portable breath test or Breathalyzer that indicated Ellingson was ‘well above the legal limit’. Another lie told by Piercy in an attempt to avoid charges. According to multiple reports from witnesses and the Missouri State Highway Patrol, Piercy never administered a Breathalyzer. In fact, the MSHP stated and media reported, that Brandon was taken into custody and handcuffed on the water in order to transport him to a Water Patrol station to perform the Breathalyzer test. An ‘eye test’, performed on a boat in the water, is the least reliable of field tests. These eyewitness accounts were confirmed by the Missouri State Highway Patrol Spokesperson Sgt. Paul Reinsch. Reinsch, in several statements that were reported in media across the country, confirmed the boat Brandon was aboard was stopped for a violation that resulted in his arrest for SUSPICION of boating while intoxicated. A holiday weekend at the Lake of the Ozarks means lots of boat traffic and choppy water. This was certainly true on the evening of Saturday May 31. Weekends at during the summer season at the Lake, thousands of boats hit the water. This led to rough water conditions, a fact that is not in dispute. Navigating the Lake during a weekend requires concentration and care, as the number of boats far exceeds the traffic on other weekends. It also calls for reduced speed, something clearly defined by Missouri State Statute. 306.125. 1. Every person shall operate a motorboat, vessel or watercraft in a careful and prudent manner and at a rate of speed so as not to endanger the property of another or the life or limb of any person and shall exercise the highest degree of care. Piercy did not exercise the ‘highest level of care’ while operating the Donzi with Brandon aboard. GPS data confirmed his speed was between 39.1 and 43.7 MPH at the time Brandon went overboard. Despite this, Cpl. David Echternacht listed the speed of the Donzi at the time of the incident as 10 MPH. Sgt. Henry, during his taped interview with MSHP investigators, discussed this fact. Henry said that GPS information was made available to the on-scene officers that evening and that the boat was travelling in excess of 43 MPH. The responding officers, according to Henry, talked extensively about the excessive speed Piercy was driving. Water conditions that Saturday afternoon were choppy and rough, described as a ‘washing machine’ and ‘toilet bowl’ by Henry. During Henry’s interview, he asked Stacks and Harris if they wanted him to elaborate more on the speed of the boat and they said ‘no’. According to Stacks, he didn’t want to get into ‘policy issues’. Additionally, witnesses told investigators that Piercy’s speed exceeded 32 MPH just before Brandon was thrown overboard, although those witnesses were not asked to testify at the inquest. Larry Moreau and his family were on the lake that fateful evening. ‘The Moreaus were out for a boat ride on that last afternoon in May, traveling south down the Gravois Arm, when the patrol boat came up beside them before passing. This is consistent with Sgt. Henry’s observations onboard the Donzi, immediately following Brandon’s drowning. During Henry’s securing the Donzi shortly after he arrived on the scene, he saw that the two bolster seats in the Donzi were in the ‘up’ position. This allows pilot and passenger to stand up and lean, rather than sit, in the adjustable seats. Sgt. Henry’s statement, regarding the position of the seats on the boat, is a critical piece of the puzzle. One of the foundations of the manufactured narrative offered at the inquest is the assertion that Brandon was seated in the Donzi, then stood up and stepped to the right of the boat. Piercy, not surprisingly, again appears to have lied to both investigators and the jury at the Coroner’s inquest. There, Piercy testified that Brandon was seated. “Yeah, I don’t know the nautical term, but we go down to the bottom of the wave and the second wave is about ready to hit the boat. Piercy was near Mill Creek Cove when he ran into some larger wakes. While trying to maneuver through the wakes, he noticed Ellingson was standing up. Up until then, Ellingson had been sitting next to Piercy, their shoulders touching. ‘After the first wave, he said he saw that Ellingson was standing next to him. The MSHP’s online report, filed by Echternacht, says that Brandon stepped to the starboard side of the vessel and ‘fell or jumped overboard’. This step, and speculation about Brandon’s intention, became the basis of the alibi the MSHP has attempted to provide for Piercy’s actions. On July 5th, Stacks participated in a re-creation of Piercy’s run that was included in the final investigative report. In that re-enactment, Stacks is seated on the bolster seat where Brandon would have been during the high speed run. He visibly rocks in the seat and uses his hands to brace himself as the boat hurtled across the Lake. This was a luxury Brandon was not afforded on May 31. A review of the video shows how precarious it would be for any handcuffed individual to remain steady and secure at this high rate of speed. For the re-creation, the investigators did not exceed 40 MPH. Again, as stated, GPS data clearly shows the speed of the boat at nearly 44 MPH at the time Brandon was ejected. Piercy told Henry, during that phone call the evening of the 31st, that he saw Brandon’s feet go over the side of the boat. He gave no indication that he grabbed Brandon before or as he was pitched out of the Donzi. That evening however, while talking on the phone with his supervisor, a conversation captured by the camera’s on Cpl. Echternacht’s boat, Piercy made another change to his story. No one but Piercy saw Brandon go overboard. •	Records from the patrol boat’s GPS system, which The Star has obtained, say Piercy was “traveling at between 39.1 and 43.7 miles per hour just before this incident occurred.” The boat’s speed was not provided in the courtroom during the inquest. •	The trooper who interviewed Larry Moreau days after the drowning told the mid-Missouri man he would probably be subpoenaed at some point to explain what he saw. But Moreau wasn’t called for the inquest, and when he read a Highway Patrol report about his account, which he saw for the first time over the weekend, key parts of his information were not included. •	A tearful Piercy told jurors at the inquest that he had worked himself to exhaustion trying to save Ellingson. Another witness who came upon the scene after the Moreaus said the trooper did everything he could. But Larry Moreau said that during the 60 to 90 seconds that his family observed Piercy, the trooper was close enough to touch Ellingson at least twice and didn’t jump in the water to help keep him afloat. •	Piercy jumped in later, after the Moreaus had moved on, and after a failed attempt to use a pole with a hook to try to grab Ellingson. The Moreaus were not called to testify during the inquest. Their account was buried, along with any other evidence that didn’t support the assertion that Brandon’s death was an unfortunate accident. This prompted the Moreaus to go public with their story. ‘”At first I didn’t know what (the Missouri State Highway Patrol trooper) was doing,” Bascue said. The boat “slowed down pretty quick. I saw somebody in a life jacket to the side. The boat was turning to get into position to help. I didn’t have a clue what was going on. Bascue said he threw a life ring to Ellingson, but Ellingson couldn’t reach it. Each time Ellingson disappeared underwater, he seemed to sink a little deeper, Bascue said. The trooper, who was operating the boat from which Ellingson jumped or fell, jumped into the water to try and rescue Ellingson, Bascue said. The trooper, however, lost his grip on the Clive man and then couldn’t find him again, Bascue said. Bascue, who owns Playin Hooky Water Taxi and Charters, came around a bend in the lake while captaining a Bar Hop Cruise just after Ellingson fell or jumped into the water. Bascue said he tried to position his boat and help but was unsuccessful. Bascue was also interviewed by the Lake Sun. His account focused on Piercy as the unfortunate victim. ‘Jim Bascue was headed back from Coconuts from the Saturday Bar Hop Cruise he runs as a charter service. He said the lake was busy, which is typical for that time of the day on the main channel. Bascue operates Playin Hooky charter and taxi service. More often than not, around 5 p.m. is a busy time on the water. Seeing a Highway Patrol boat is normal but as the officer slowed down and started to turn around in the main channel, Bascue said it quickly caught his attention. The life ring and throw rope landed somewhere between 4 to 6 feet away from the victim as he struggled in the water. Bascue said he saw him go under a couple of times. The passengers on his boat were yelling at Ellingson, telling him to grab on. At that point, Bascue said he didn’t know if the young man was handcuffed or not. In the meantime, Bascue said the officer attempted to reach Ellingson with a pole. When his attempts failed and Ellingson went back under, the officer jumped into the water. The officer managed to pull Ellingson up but in the struggle, the officer couldn’t hold on to get them both to safety. By that point, Bascue said the officer was showing signs of exhaustion. He was able to grab on to the side of Bascue’s boat. With the officer hanging on, Bascue pulled closer to the officer’s Donzi. A passenger on Bascue’s boat jumped onto the Highway Patrol boat to hold on to the charter boat while Bascue got on the Donzi to help the officer get back on board. Bascue, predictably, was allowed to testify at the inquest, ahead of Trooper Piercy. Trooper Anthony Piercy called his supervisor at 6:28 p.m. May 31, about an hour after Brandon Ellingson drowned in the Lake of the Ozarks. Piercy placed the call from the boat of Cpl. David Echternacht. A microphone picked up Piercy’s side of the conversation. At points early on, it is difficult to make out what he is saying because Echternacht also is talking. Note: Some of the language may be offensive to some listeners. He’s floated up because he’s in the life jacket, and then all of a sudden the life jacket comes off and I said ‘Hold on,’ and I tried to throw a boat hook to him and there was a party barge behind me and they threw a regular life …, like a ring, inner tube, out to him, on a rope, a floatable, and when he came out of the life jacket, he went under water, and I saw him go under, so I dove off the boat in after him and I, I went under, I don’t know how – but the guy on the boat said, ‘You were, I thought we’d lost you, too. You were under a long time.’ And, I don’t, I thought I got a hold of him temporarily, but I lost him, I just couldn’t keep a hold of him. And, and that was it. And then it was – I mean, I couldn’t get a hold of him again. Well, I’m with Echternacht on his boat. The party barge that was behind me, ….. is on it getting statements …. I don’t know. One of the girls. And Stacey and Richardson and I think Plumley and Sanders are dragging…. We called ISD …. and they have a tracker where they can track your boat by, where they can track cars and boats like to the second, they’re trying to get an exact GPS. We’ve got dive team on the way back to help with recovery. And we got a mark and they’re, at this point they’re just dragging and getting statements. Well, I’m sorry. I probably did a bunch of things wrong there, but –. No, not really. We’re out in the middle of the Gravois. I don’t think there’s anything you can do. We got, the kid’s from Iowa and he had a group of guys with him and they went back to Coconuts. I told him that they could pick him up at the Toad and I’ve been kind of watching for the boat. They haven’t came through. ’Cause, we’re going to have to do some sort of next of kin. I don’t even know if the kid has a lake house down there. The second call made by Piercy that evening was to Sgt. Randy Henry, a seasoned veteran of the Water Patrol. Henry, who had responded to the incident, spoke with Piercy shortly after arriving on the scene. The online incident report on the drowning lists Sgt. Randy Henry as one of the officers who worked the case immediately following Brandon’s death. Henry was interviewed by Stacks and Chris Harris on June 19 at the Osage Beach Police station. During this taped interview, Henry relayed key details about the circumstances of Brandon’s death given him by Piercy. These details were not presented at the Coroner’s inquest. One of the key factors that alarmed Henry, a member of the Water Patrol before Governor Nixon merged the departments, was the choice of life jacket. Henry told investigators that it was not the norm to use the Type 3 vest on suspects. Henry also acknowledged that another officer had told him it was put on Brandon after he was handcuffed. The use of the Type 3 life jacket on a handcuffed suspect obviously disturbed the Water Patrol veteran. As Henry told investigators, during his examination of Piercy’s boat, a Type 1 vest was hanging on a hook where sobriety tests are performed on the Donzi. That vest was still hanging on its hook and would have been near Brandon’s knee, had he been given a sobriety test. The Type 3 vest, along with the Type 5 fanny pack inflatable worn by Piercy, were the boat and both were wet. Henry did not check the boat’s onboard cameras during his quick observation. He turned off the lights and secured the boat. Henry also said that GPS information was made available to the on-scene officers that evening and that the boat was travelling in excess of 43 MPH. The responding officers, according to Henry, talked extensively about the excessive speed Piercy was driving. Water conditions that Saturday afternoon were choppy and rough, described as a ‘washing machine’ and ‘toilet bowl’ by Henry. Stacks and Harris were asked by Henry if they wanted him to elaborate more on the speed of the boat and they said ‘no’. According to Stacks, he didn’t want to get into ‘policy issues’. Henry then told the investigators that he talked to Piercy by phone that evening. During this phone call, several critical admissions were made by Piercy that point directly to negligence. 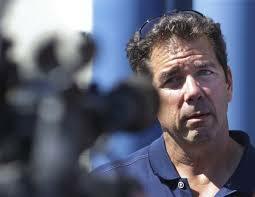 Henry then asked Piercy if he had given sobriety tests to the passengers in Brandon’s boat. Piercy said that he had not given any sobriety tests and that he instead asked the passengers if anyone was sober. The swimmer said he was sober. That was enough for Piercy, who then sped away, by his own account, at approximately 30-35 MPH. Henry asked Piercy if Brandon was sitting or standing. Piercy answered that he was ‘leaning’. During Henry’s observation of the Donzi shortly after he arrived on the scene, he saw that the two bolster seats in the Donzi were in the ‘up’ position. This allows pilot and passenger to stand up and lean, rather than sit, in the adjustable seats. Then, according to Piercy, he hit rough water wakes. 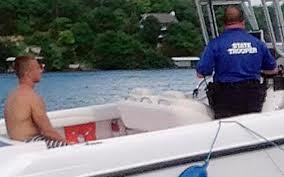 Travelling at reckless speed, the boat pitched and Brandon was ejected from the boat. When Brandon hit the water, Piercy turned the boat hard enough to kill its engines. It is unknown how long it took Piercy to restart the engines, but finally he did. Piercy then piloted the boat toward Brandon’s position, where he was fighting for his life, the improperly fastened life vest had already separated from the young man and he was struggling to remain afloat. To make matters worse, Piercy miscalculated and his boat shot past Brandon’s position in the water. The boat drifted past Brandon. Piercy then grabbed a pole with a hook on it and attempted to snag Brandon. It wasn’t until a woman on another boat, a water taxi, screamed at the Piercy to jump in after Brandon that he shed his gun belt and dove in the water. In relaying these events to Sgt. Henry shortly after Brandon’s death, Piercy made an astonishing admission: He had no idea how his own personal floatation device, the Type 5 ‘fanny pack’ he was wearing while on the water. Piercy said that he was able to grab hold of Brandon while under the water. The Trooper said Brandon was struggling, a likely reaction to the fear of drowning while handcuffed. In a stunning statement, he told Henry that he had expected his fanny pack device to automatically deploy a floatation device. Sgt. Henry was stunned. Henry told Piercy that evening on the phone that Type 5 devices have a ripcord that must be pulled in order to deploy the life saving measures. Piercy, Henry told investigators, had no idea the fanny pack even had a ripcord. Sgt. Henry went to the zone office in Morgan County the following Wednesday. There, he saw Piercy typing and the two men talked about the incident. Henry, in the recorded statement he gave investigators Stacks and Harris, said that there was something bothersome about statements Piercy made during that exchange. According to Henry, Piercy had told him that he ‘wished he had pulled the ripcord’ and that he ‘couldn’t find’ the cord on the fanny pack he was wearing that day. Henry told investigators that this discrepancy in Piercy’s statement bothered him. From their phone conversation immediately following Brandon’s death, it was clear Piercy didn’t even know the Type 5 device had a ripcord. This immediately raised a flag for the Water Patrol veteran officer. Henry told Stacks and Harris that the change in story concerned him. Piercy’s change in story was not the only reason Henry was not the only reason for alarm. He cited Piercy’s use of the wrong lifejacket, the way it had been put on Brandon and the speed with which Piercy was operating the boat. Henry responded by telling Stacks that he assumed the investigators would want to hear about all of this during the interview, instead of hearing it on the stand later “while I’m under oath.” Henry said that since he talked with Piercy shortly after Brandon’s death that his statement probably should be on record somewhere. Henry said that there were comments among the officers wondering why Piercy took some of the actions he did. Harris then interrupted Henry and asked if there was anyone else on scene with questions about the Type 3 vest. Capitan Kindle was shown the lifejackets by Henry and explained why Type 3 jackets were not used by officers trained as Water Patrol, particularly with handcuffed suspects. “I would never put a Type 3 on someone who was handcuffed.” Henry said. Henry said that that, along with the speed Piercy was travelling at, were the main issues in Brandon’s death. Grellner is correct. It isn’t up to her. Missouri State Statutes, as referenced by Sgt. Henry before his interview was terminated, is clear on the subject. 2. No person shall operate a motorboat, vessel or watercraft at any time from a half-hour after sunset until an hour before sunrise the following day at a speed exceeding thirty miles per hour. The penalty for violating 306.125 is clear. 306.210. Any person who violates any of the provisions of sections 306.015 to 306.060 and 306.090 to 306.150 for which no other penalty is provided is guilty of a class B misdemeanor. This means that Piercy was guilty of a crime before Brandon even went over the side of the Donzi. 562.016. 1. Except as provided in section 562.026, a person is not guilty of an offense unless he acts with a culpable mental state, that is, unless he acts purposely or knowingly or recklessly or with criminal negligence, as the statute defining the offense may require with respect to the conduct, the result thereof or the attendant circumstances which constitute the material elements of the crime. 2. A person “acts purposely”, or with purpose, with respect to his conduct or to a result thereof when it is his conscious object to engage in that conduct or to cause that result. 4. A person “acts recklessly” or is reckless when he consciously disregards a substantial and unjustifiable risk that circumstances exist or that a result will follow, and such disregard constitutes a gross deviation from the standard of care which a reasonable person would exercise in the situation. 5. A person “acts with criminal negligence” or is criminally negligent when he fails to be aware of a substantial and unjustifiable risk that circumstances exist or a result will follow, and such failure constitutes a gross deviation from the standard of care which a reasonable person would exercise in the situation. (5) Operates a vessel in violation of subsections 1 and 2 of section 306.132, and when so operating acts with criminal negligence to cause the death of any person authorized to operate an emergency watercraft, as defined in section 306.132, while such person is in the performance of official duties. 2. Involuntary manslaughter in the first degree under subdivision (1) or (2) of subsection 1 of this section is a class C felony. Involuntary manslaughter in the first degree under subdivision (3) of subsection 1 of this section is a class B felony. A second or subsequent violation of subdivision (3) of subsection 1 of this section is a class A felony. For any violation of subdivision (3) of subsection 1 of this section, the minimum prison term which the defendant must serve shall be eighty-five percent of his or her sentence. Any violation of subdivisions (4) and (5) of subsection 1 of this section is a class B felony. 3. A person commits the crime of involuntary manslaughter in the second degree if he acts with criminal negligence to cause the death of any person. 4. Involuntary manslaughter in the second degree is a class D felony. (2) Grants or continues the commission of a peace officer not validly licensed for such commission. 2. Any person who purposely violates any other provision of this chapter shall be guilty of a class B misdemeanor. 3. Any law enforcement agency that commissions a peace officer in violation of this chapter or that is otherwise in violation of any provision of this chapter shall not be eligible to receive state or federal funds that would otherwise be paid to it for the purpose of training and licensing peace officers or for any other law enforcement, safety, or criminal justice purpose. (6) Has violated a provision of this chapter or a rule promulgated pursuant to this chapter. 2. When the director has knowledge of cause to discipline a peace officer license pursuant to this section, the director may cause a complaint to be filed with the administrative hearing commission, which shall conduct a hearing to determine whether the director has cause for discipline, and which shall issue findings of fact and conclusions of law on the matter. The administrative hearing commission shall not consider the relative severity of the cause for discipline or any rehabilitation of the licensee or otherwise impinge upon the discretion of the director to determine appropriate discipline when cause exists pursuant to this section. 3. Upon a finding by the administrative hearing commission that cause to discipline exists, the director shall, within thirty days, hold a hearing to determine the form of discipline to be imposed and thereafter shall probate, suspend, or permanently revoke the license at issue. If the licensee fails to appear at the director’s hearing, this shall constitute a waiver of the right to such hearing. 4. Notice of any hearing pursuant to this chapter or section may be made by certified mail to the licensee’s address of record pursuant to subdivision (2) of subsection 3 of section 590.130*. Proof of refusal of the licensee to accept delivery or the inability of postal authorities to deliver such certified mail shall be evidence that required notice has been given. Notice may be given by publication. 5. Nothing contained in this section shall prevent a licensee from informally disposing of a cause for discipline with the consent of the director by voluntarily surrendering a license or by voluntarily submitting to discipline. 6. The provisions of chapter 621 and any amendments thereto, except those provisions or amendments that are in conflict with this chapter, shall apply to and govern the proceedings of the administrative hearing commission and pursuant to this section the rights and duties of the parties involved. *Section 590.130 was repealed by H.B. 80, 2001. Piercy’s account of these events was the only one Morgan County Coroner MB Jones and Osage County Prosecutor Amanda Grellener presented to the jury. Despite multiple eyewitnesses that dispute Piercy’s description of events, and the many discrepancies in his account, the coroner and the ‘special prosecutor’ ignored them to focus singularly on Piercy’s story. Morgan County Coroner MB Jones, first appointed to office by Governor Jay Nixon in 2009, reportedly requested the inquest because of his own admitted conflict of interest. Jones knows Trooper Piercy personally, as does Morgan County Prosecuting Attorney Dustin Dunklee. Amanda Grellner, Osage County Prosecutor, was appointed as an ‘outside’ ‘special prosecutor’. Grellner however, was not unbiased, as illustrated by her own comments. MB Jones, appointed to Coroner position in 2009 by Governor Jay Nixon. This statement made by Grellner reeks of exactly what the inquest was supposed to remedy: a clear conflict of interest. Instead, it begins to illustrate the painstaking steps that appear to have been taken by Jones, Grellner and the Missouri Highway Patrol to ensure no criminal charges will be pursued against Piercy. This crafted narrative began with details that supported Piercy. Those details included results from the autopsy conducted after Brandon’s death and the final report of the investigation conducted by the Missouri Highway Patrol Troop F.
Jones told the jury that Brandon’s blood-alcohol level more than three times the legal limit for operating a boat, and that he had traces of cocaine in his system. Depending on where the blood sample was taken from, these results could be skewed after death. Fermentation and other factors can be known to alter these results by up to %.200. It is unknown if Jones, a Versailles veterinarian and goat farmer, compensated for this. ‘Highway Patrol Cpl. Eric Stacks, the lead investigator in the case, read his investigative summary to the jurors. He said the report included information about how fast Piercy’s boat was going that day, but he did not say what the speed was. The one-sided narrative presented at the Morgan County Coroner’s inquest was constructed and presented like a defense attorney’s strategy, instead of the inquiry into the facts surrounding Brandon Ellingson’s death. The findings that were presented to the jury by Jones, Grellner and other witnesses from the Missouri Highway Patrol were biased with extreme prejudice to protect Trooper Piercy and the Patrol from criminal charges. MSHP Troop F Cpl. Eric Stacks chose not to tell the inquest jury several key details that emerged as a result of the investigation, including Sgt. Henry’s observations. He omitted them, it would seem, in an effort to protect Piercy from what was obvious criminal negligence. An indictment of Piercy goes much higher up than the action of one reckless Trooper. It would be an indictment also of decisions made by Governor Jay Nixon, who in 2011 merged the Water Patrol with the Highway Patrol. At the time, it was billed as a ‘cost-cutting’ measure that would save the state money. Some of those savings were later invested in a $5.2 million dollar plane for the governor. The political maneuvering that was on display during the inquest, called a “joke” by Craig Ellingson, speaks directly to the desire to see Brandon Ellingson’s death go away quietly. The appointment of Grellner, who has a long history of questionable decisions as prosecutor, speaks to this, as does the presentation directed by Jones, who in addition to being a Nixon appointee is also involved with search and rescue, giving him a close relationship with law enforcement. 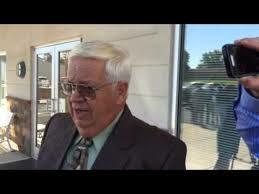 Morgan County Sheriff Jim Petty, formerly of the MSHP, selected the jurors at the inquest. Three of whom, it was reported by witnesses at the inquest, also had personal relationships with Piercy. Now, it is up to the citizens of both Missouri, Iowa and Arizona to ensure that there is an accounting of the actions of Piercy that fateful May evening. #JusticeforBrandonEllingson, a Facebook group started in the wake of this senseless tragedy, has pledged that they will not rest until transparency and accountability are applied to this case. Piercy’s actions were clearly negligent and that negligence was criminal. It resulted in the death of a young man with a promising future. He must immediately be terminated from his service to the Highway Patrol and must resign from the Versailles school board. A man who has shown so little regard for the lives of young people shouldn’t be allowed to serve in any capacity where children must abide by his decisions. HIs decision making ability and his trustworthiness are clearly in doubt. Anthony Piercy should go to jail for his actions on May 31. He can only hope that the officer taking him into custody has more concern for his welfare than he showed Brandon Ellingson. To sign the petition for #justiceforbrandonellingson, please click the link below. Your voice matters and can help bring justice for his family. Tonight, Brandon Raub is a free man once again. It is from the waters of these victories that we must drink deep, dunk our head and dive in. We must swim in them, drift in righteousness and let our naked bodies feel the caress of success earned. OUR voices united behind the cause of one of our own and we prevailed. How easy might it have been to lose Brandon Raub? I have not met Brandon Raub. I did not espouse his particular point of view, did not agree with all of his posts or theories. Based on those alone, I would not have taken the time to know anything about Brandon. He has, in many ways, brought all of us a little closer together. Last night, I spoke with someone I might otherwise not have on Guerrilla Radio. We come from different points of view, different backgrounds and different thought processes. Through Brandon, we arrived at the same conclusion. While it seems like overnight, the police state has arrived. It is in New York. Brandon Raub proves that. Just as Jesselyn Radack did. Just as Thomas Drake did. Just as William Binney, John Kirakau and Bradley Manning do. As Laura Poitras does. As the NATO 5 do. As Dorli Rainey and Scott Olsen have. Mark Kennedy, Ron Faust, Brian Terrell. Just as does Julian Assange. Last week, when tyranny threatened to silence truth, we united in purpose. We created a great noise, a thunderclap of righteousness that echoed their injustice. Together, we illuminated them and in the flash of truth that shone like lightning on an early London morn, they froze. This week, when tyranny threatened to deny the human right of free speech, we united in purpose. We raised our voices again, in defiance of those who would conspire against us. We brought them to bear with furious abandon, shouting at their towers. The chorus echoed off their carefully constructed fortress, amplified by the spirit of rebellion in which we have been born. Because of them, stone towers shook and prison doors flew open. WE CAN stop this. ALL of us. Together. We can bring them to their knees, trembling, as the beacon of our truth lands on their doorstep. The time to stand is now. Tonight, the cool waters heal aching muscles and invigorate tired souls. Tomorrow, there is much work to do. We will pick up our burden and we will climb up the steep and rocky slope, knowing there will be missteps, scrapes, bruises. There will be challenges. They will be mighty. Tonight though, feels damn good. Tonight, Brandon Raub sits in a psychiatric facility, held against his will, for posts he made on Facebook. Those posts weren’t threatening in nature. They questioned the government and the course our leaders are on. Brandon has a ‘clean’ criminal record and no mental health history. There was no answer given as to why the FBI is monitoring Facebook. Tartan software, from Ntrepid and the ex-CIA braintrust. This matrix is used to identify, through social media and other input, individuals based on their posts, etc. When I first heard the story of Brandon Raub, I was slow to draw conclusions. I sifted through his Facebook page, and while I cannot say I agree with everything he posted there, I found nothing that would lead me to believe Mr. Raub was a danger to himself or others. I was slow to label his apprehension as related to NDAA’s indefinite detention provision. I believed there must be something, some reason, for his being detained. Brandon Raub, it would appear, is being held against his will for dissenting against the government narrative. He has been placed in a psychiatric facility because of views he expressed openly. The human right of free speech, it would seem, has its limits in the United States and we have been placed on a short electronic leash. The implications of Brandon’s detention are far-reaching and rife with ominous consequences. Tartan makes it possible to identify and ‘predict’ those people who have spheres of influence among dissenters from the status quo. The use of technology in this way clearly lays out the intent of those in government. They intend to identify those who don’t go along. They intend to arrest them. They intend to hold them. They intend to silence dissent. Last night, while I was outside on my porch, a jeep slowly rolled up my country lane. While I have no proof that it was anything more than a person who had taken a wrong turn (VERY wrong, as I live in a rather isolated area that doesn’t see casual traffic), I couldn’t help but think of Brandon. Those words may have indeed been prophetic. Brandon’s abduction by the government and his incarceration in Salem, VA. has certainly stirred something among those of us who recognize it for what it is. It is the beginning of the end of our freedom. It is proof that our rights are meaningless now, legislated away by a Congress unified in its effort to unshackle corporations while binding the citizens of this country ever tighter. Go along or suffer the consequences. Brandon Raub has indeed led a revolution, one of thinking, of consideration for where we are headed and why. While I may not personally agree with everything Brandon posted on his page, I will say this: American Spring pledges that it will stand with Brandon and his family. We will be brothers in arms against this kind of tyranny. Today has been a busy one in my state of Misery (to be read as Missouri). With the recent revelations regarding TrapWire and the far-reaching implications such a network promises, that would seem to be a good place to begin. While the TrapWire network appears to only be integrated with cameras in some US markets, there is evidence, provided from the US government, that other aspects of the program are in use in other cities and states and have been for some time. A key component in TrapWire’s compilation and predictive capabilities is the Suspicious Activity Report or SAR. The Nationwide Suspicious Activity Reporting (SAR) Initiative (NSI) is a collaborative effort led by the U.S. Department of Justice (DOJ), Bureau of Justice Assistance, in partnership with the U.S. Department of Homeland Security, the Federal Bureau of Investigation, and state, local, tribal, and territorial law enforcement partners. This initiative provides law enforcement with another tool to help prevent terrorism and other related criminal activity by establishing a national capacity for gathering, documenting, processing, analyzing, and sharing SAR information. A look at the Implementation Map, found here, shows a how widespread the SAR (Suspicious Activity Reporting) program is. It lists Kansas City and St. Louis as cities which have SAR reporting structures in place. Efforts to address crime and threats in our communities are most effective when they involve strong collaboration between law enforcement and the communities and citizens they serve. As a law enforcement or homeland security professional, you understand that Homeland Security Is Hometown Security.1 Local, state, tribal, territorial, campus, and federal representatives are united in efforts to make our country safer. One of these efforts relates to Suspicious Activity Reporting. To address this issue, in 2011, the International Association of Chiefs of Police (IACP) hosted a meeting of representatives from numerous local, state, and federal agencies and law enforcement organizations to create a unified approach to reporting and sharing suspicious activity. As a result, these leaders have partnered to support a strategy that will unify the efforts of all agencies and organizations involved in the Nationwide Suspicious Activity Reporting (SAR) Initiative (NSI). The overall effort focuses on (1) increasing public awareness of reporting suspicious activity to law enforcement, (2) generating Suspicious Activity Reports by law enforcement, (3) analysis conducted by fusion centers and Federal Bureau of Investigation (FBI) Field Intelligence Groups (FIGs), and (4) investigation by the FBI’s Joint Terrorism Task Forces (JTTFs). As a law enforcement or homeland security professional, you are responsible to ensure that the public you serve understands how to report suspicious activity and that your agency/organizational members support the collection, analysis, and submission of Suspicious Activity Reports to your fusion center or FBI/JTTFs. Fusion centers, FIGs, and JTTFs will share Suspicious Activity Reports seamlessly. The NSI Program Management Office (NSI PMO) and the FBI made technical adjustments in 2011 to ensure interoperability between the eGuardian and Shared Space systems. Suspicious Activity Reports entered into either system will be expeditiously pushed into the other automatically for sharing with other partners within the NSI as appropriate. The public should contact law enforcement via 9-1-1 when an immediate response is needed regarding suspicious activity for any type of crime, including terrorism. Personnel from your agency should prepare Suspicious Activity Reports and forward them to fusion centers or FBI/JTTFs for follow‐up and mutual coordination/deconfliction. Other potentially terrorism related tips or leads reported directly to FBI/JTTFs will be evaluated for investigation, coordination, and entry into the NSI as appropriate. 1 From Hometown Security to Homeland Security, IACP’s Principles for a Locally Designed and Nationally Coordinated Homeland Security Strategy, International Association of Chiefs of Police, http://www.theiacp.org/LinkClick.aspx?fileticket=78X8uKjLa0U%3D&tabid=392. The NSI establishes standardized processes and policies that provide the capability for local, state, tribal, territorial, campus, and federal law enforcement to share timely, relevant Suspicious Activity Reports while working to ensure that privacy, civil rights, and civil liberties are protected. There are multiple options for entry of Suspicious Activity Reports. It is vitally important that law enforcement agencies conduct SAR training with all law enforcement personnel, including supervisors, and document completion. Officers, chiefs, sheriffs, training officials, and other executives should integrate SAR training into initial and recurring training curricula. Fusion centers serve as focal points within the state and local environment for the receipt, analysis, gathering, and sharing of threat]related information among local, state, tribal, territorial, and federal partners. They produce actionable intelligence for dissemination, which can aid other law enforcement organizations, including the JTTFs, in their investigative operations. JTTFs are multiagency task forces designed to combine the resources, talents, skills, and knowledge of local, state, tribal, territorial, and federal law enforcement, as well as the Intelligence Community, into a single team that investigates and/or responds to terrorist threats. JTTFs investigate Suspicious Activity Reports and other terrorism tips and leads. FIGs, the hub of the FBIs intelligence program in the field, are the primary mechanism through which field offices identify, evaluate, and prioritize threats within their territories. 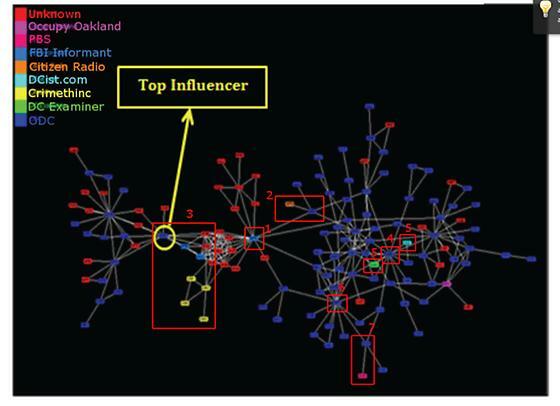 Using dissemination protocols, FIGs contribute to regional and local perspectives on threats and serve as an important link between fusion centers, the FBI/JTTFs, and the Intelligence Community. The If You See Something, Say Something™ public awareness campaign is a simple and effective program to raise public awareness of indicators of terrorism and violent crime. DHS uses If You See Something, Say Something™ with permission from the New York Metropolitan Transportation Authority. Agencies, companies, or groups interested in partnering with DHS on this campaign should contact the DHS Office of Public Affairs at (202) 282-8010. It comes then, as no surprise that Las Vegas has been one of the first US cities to have the TrapWire network in full operation. In mentioning the need for ‘interrelated systems’, TrapWire and Stellar Wind come to mind. In the next to last paragraph, Wormeli addresses the issue of data mining and sharing in relation to privacy concerns. Wormeli, it seems, got his wish. There was no debate from the ‘fourth estate’. Our ‘media’ was largely silent regarding the rollout of the NSI/SAR program. As they were when word of the NSA’s data collection program, Stellar Wind, finally reached the public. While the revelations regarding TrapWire have primarily focused on the cities and areas in which its network has linked its software with camera systems, a key component of the TrapWire matrix is the inclusion of SAR’s. Missouri’s NSI/SAR reporting site can be found here. It illustrates how far the surveillance system and its ‘spy on your neighbor’ campaign has advanced in a short amount of time. The encrouching surveillance state has been allowed, by the silence of our media and the propaganda they spew, to reach our doorstep with nary a warning. We are being conditioned to accept the rise of police and government intrusion in our lives by those who are supposed to keep us informed of such transgressions. They hide the atrocities of police brutality from us and dismiss the American Gestapo as a figments of imagination. Yesterday’s article from Scott Shane and the New York Times whitewashing the facts relating to TrapWire is a prime example of this. The facts are lying all around us. Those in the state/corporate controlled media, with their quote approval agreements and excuses, do not serve us any longer. They are an extension of the Gestapo, serving to manipulate and bury the truth of what is going on in this country. Those that call themselves journalists are responsible for leading our population blindly down the dark corridors of fascism. Today, it was reported that Missouri police agencies will begin checkpoints across the state. These checkpoints masquerade as DUI crackdowns, but when the dots are connected, they begin to look very different. This campaign will run in the state from August 17 through September 3. While we are used to a beefed up police force during the Labor Day weekend, this extension has not been scrutinized or questioned. There is no expectation that it will be. Today it was also reported that Missouri will be moving forward with the tracking of prescription drugs sales under the guise of preventing abuse. What this means for the citizens of our state is unclear, but it certainly throws the door wide open to our medical records being included in government data mining. Tonight, we learn that the Missouri State Highway patrol will be conducting a ‘radio coverage survey’ over the next few months. While it was reported that this will be going on in Northeast Missouri, in the St Joseph area, there can be no doubt that we will see the type of police presence in the rest of the state that it describes as part of the survey. 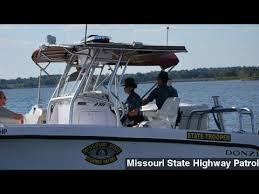 Unmarked patrol vehicles will be seen traveling at slow rates of speed through rural areas of Missouri. We are being monitered through social media, cell phone communications, text messages. It would appear that soon, we can add closed circut cameras and our medical records to that list. Our behavior is being analyzed and scrutinized through predictive software. Checkpoints are now the norm in Kansas City. In the meantime, the Gestapo will rolling down a gravel road near you, nice and slow.